This Privacy & cookies policy is dated 08.6.2016. This Policy will be updated from time to time so please review it regularly. At Homecure Plumbers we are committed to safeguarding and preserving the privacy of our customers and other visitors to the Homecure website. This Policy clarifies what occurs to any personal data that you provide to us, or that we may collect from you whilst you are visiting the Homecure site. By using our website you herby agree to the terms and conditions outlined in this policy. You should be aware that when using the Homecure website we may collect information using cookies. Cookies are small files that are downloaded to your computer or your device each time you visit a website so that you can be recognised when you return. Such information will not identify you personally, it is just statistical data. You can adjust the settings on your computer to decline any cookies if you so wish. This can be done by activating the reject cookies setting on your computer. For more information please read the advice at www.AboutCookies.org. Homecure never give your details or your data to third parties for their promotional gain regarding unrelated goods or services. 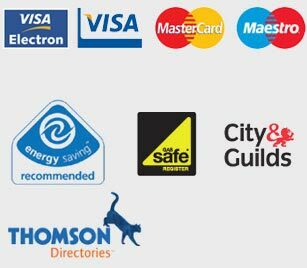 If you have previously purchased goods or services from us, or filled in an online enquiry form, we may provide you with details of similar goods or services, or other goods and services that you may be interested in. Homecure do our upmost to ensure that all reasonable steps are taken to make sure that your data is stored securely. Unfortunately the sending of information via the internet is not totally secure and there is the always the small risk that information could be intercepted. We cannot guarantee the security of data that you choose to send us electronically. Sending of such information is entirely at your own risk. Homecure Plumbers makes every effort to ensure that the material on this website is complete, correct and up-to-date. However, errors cannot be ruled out and Homecure Plumbers does not accept liability for the relevance, accuracy or completeness of the information and material offered on this site. Any errors will be corrected as soon as they have been brought to our attention.